Maybe in the past, you’ve thought about owning a house but you’re not sure if it’s right for you. Well, aside from owning your own home instead of renting, one consideration is that it’s a sound financial investment. 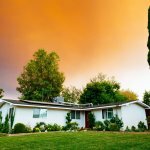 Here are 4 reasons why homeownership is a good investment in Southern California and Central Ohio. If you’re currently renting and debating about whether you should buy a property, then think about the return you could get on that property. Real estate is often a solid investment and here are 4 reasons why home ownership is a good investment in Southern California and Central Ohio. Ready to invest in your next home in Southern California and Central Ohio? We want to help. To talk to us about buying your next house, click here now and fill out the form or call our office at 1-855-HOMESMITH (466-3764).